The American Human: Linguist George Lakoff Knows: Democrats Should Frame the Debate and Keep It Positive. 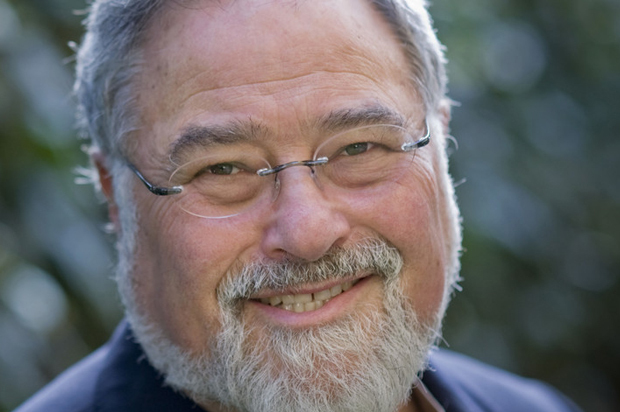 Linguist George Lakoff Knows: Democrats Should Frame the Debate and Keep It Positive. Conservatives have framed the debate for decades. It's time liberals clawed back the truth and took over the framing. Cognitive linquist George Lakoff tells us how. I lucked into having dinner and other conversations with UC Berkeley professor and author George Lakoff more than a decade ago while attending a conference. (I had read him previously and was already a fan.) He also wowed the crowd as keynote speaker. He's still at it and is solid gold in the age of Trump. If you’re a conservative going into politics, there’s a good chance you’ll study cognitive science, that is, how people really think and how to market things by advertising. So they know people think using frames and metaphors and narratives and images and emotions and so on. That’s second nature to anybody who’s taken a marketing course. Many of the people who have gone into conservative communications have done that, and know very well how to market their ideas. Got that, liberals? We're not doing it right. If reason doesn't work, what does? Lakoff says take over the debate the way conservatives have and Trump did. From Lakoff's latest article: Repetition, repetition, repetition. The loser [Donald Trump], for the majority of voters, will now be a minority president-elect. Don’t let anyone forget it. Keep referring to Trump as the minority president, Mr. Minority and the overall Loser. Constant repetition, with discussion in the media and over social media, questions the legitimacy of the minority president to ignore the values of the majority. The majority, at the very least, needs to keep its values in the public eye and view the minority president’s action through majority American values. Take over the debate, the frame, which should be Trump is the Loser-in-Chief, Mr. Minority. Don't argue with Trump, give him a nickname like Conman Donnie, then frame the debate, which means putting majority values first and not as a rebuttal. In general, negating a frame just activates the frame and makes it stronger. I wrote a book called “Don’t Think of an Elephant!” to make that point. Liberals are often caught in this trap. If a conservative says, “we should have tax relief,” she is using the metaphor that taxation is an affliction that we need relief from. If a liberal replies, “No, we don’t need tax relief,” she is accepting the idea that taxation is an affliction. The first thing that is, or should be, taught about political language is not to repeat the language of the other side or negate their framing of the issue. The Clinton campaign consistently violated the lesson of Don’t Think of an Elephant! They used negative campaigning, assuming they could turn Trump’s most outrageous words against him. They kept running ads showing Trump forcefully expressing views that liberals found outrageous. Trump supporters liked him for forcefully saying things that liberals found outrageous. They were ads paid for by the Clinton campaign that raised Trump’s profile with his potential supporters! The more neural circuits are activated, the more the stronger their synapses get, and so the more easily they can be activated again and the more likely they will become permanent. The more the public hears one side’s language, or sees one side’s images, the more that side’s frames will be activated, and the more that side’s worldview will be strengthened in the brains of those who watch and listen. This is why political communication systems matter. We can't hope that every journalist will call Trump Conman Donnie, but at least we can hope that the Loser-in-Chief will continually look angry and dismissive during his public appearances and in his middle-school tweets. All the while, Democrats should always argue not for regulations but protections (positive framing) and for a Healthy America for All, emphasizing that the Loser-in-Chief "wants to "Make America Sick Again." Repeat, repeat, repeat. Trump is not the president, he's Putin's Punk, etc. Listen, I'm not sure I'm especially good at this, but one thing I know has hamstrung liberals for ages, and that's that we always end up trying to argue civilly and reason with the other side. We can win arguments, but we can't always take the high road. We've tried that, and look where we are. Yes, we've won around the edges, like in the culture wars, but on the big-ticket items, like expanding Social Security, Medicare and Medicaid, and on the healthcare front in general, we've flopped. The social safety net has been trimmed, the federal minimum wage hasn't budged in eight years, and union membership has been shrinking since Reagan. So we have to change the argument in order to own the argument. Lakoff says it's not "right-to-work," as the Republicans argue, but "freedom to negotiate" and "make better deals on wages." Let's co-opt Trump's language. UNIONS MAKE BETTER DEALS. That's a slogan that can win back the working class. Let's get started. Be better liberals. We own American values, we're the majority. Trump's the Minority Man. And read George Lakoff to know how.